You must be a member of the Munich Craft Group to attend this activity. Would you like to join this group? I'm super excited to welcome you to my first activity in this group! I'm a self taught crocheter and would love to teach you some basic stitches! 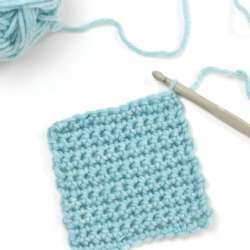 We will learn the chain stitch, single crochet, and double crochet. This will be a good start to a potholder. Please bring along some yarn and a crochet hook that fits your yarn weight. If you are an absolute beginner and are unsure about which materials to bring, feel free to message me. I'm happy to buy materials for you, just let me know by Thursday, 24 January.